Love cap toes, so of COURSE I'm going to love ombre toes even more! 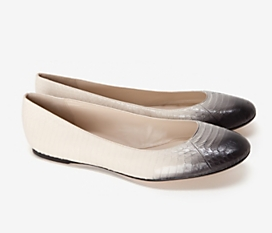 These Kors by Michael Kors python leather flats are a perfect buy to wear now into fall! Find at Intermix for $250.